Divorce Law & Family Law Attorney | Snellville | Harold D. Holcombe P.C. Together we will solve this legal problem by working as a team. Different families require different solutions. There is no cookie cutter solution that works for everyone, we will find the one that work best for you and your loved ones. Divorce can be a stressful time for your family. With over 30 years of experience, ​Harold D. Holcombe P.C. is here to give you the support and guidance you need as you take the necessary steps towards your family’s brighter future. Dealing with issues such as child support, child custody, adoption, family violence & temporary restraining orders, and contempt of court are often confusing and overwhelming. Harold D. Holcombe P.C. will help you face these challenges with clarity and confidence. Contact Harold D. Holcombe today. When it comes to your family, ensuring that they will be cared for in the long-term is a priority. With Harold D. Holcombe P.C., you will be in excellent hands as you explore probate and will options. We can also help you with any modifications you need to make to existing legal orders. If you are struggling with a divorce or family law matter, Harold D. Holcombe is here to help. Call our office now at (678) 344-0116 to speak to a knowledgeable and straightforward attorney who can answer all of your questions. 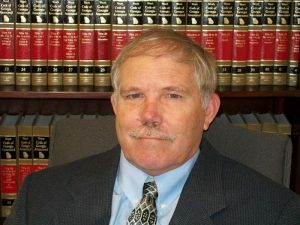 Harold D. Holcombe proudly helps clients with cases involving divorce & family law, child custody disputes, child support, adoption, and more. With over thirty years of experience, Mr. Holcombe has the skills to collaborate with you and lead you through every step of the legal process.